Thank you Judy Nilan Foundation for bringing David Flood to WMS!!! Please notice the quick turnaround on this fundraiser. All orders are due with payment to the WMS office by next Thursday, 3/21/19. Make sure to ask your child about David Flood's message today. He challenged students to 3 tasks. Check out his website at www.davidjflood.com.Thank you to the Judy Nilan Foundation for bringing this wonderful opportunity to WMS! Here are the finalists for the Fire Prevention Posters for 2018! The Winter Concert will take place at The Academy South Campus on Thursday, December 20, 2018 from 7:00-8:30! 7th and 8th Grade Semi-Formal Dance!!! Tuesday, November 13th at 6:00, we are having a parent information night on Internet Safety!Please RSVP to Angela Stringer! Parent Conferences are this week! Parent Conferences are this Thursday, November 8th and Friday, November 9th from 12:15-6:00. Remember, students have a half day on both days! 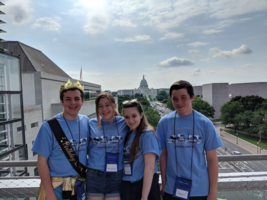 Help us reach our $5,000 Meadow Farms Fundraising goal to benefit the Washington D.C. Trip. The homeroom with the most sales will win a Pizza Party. All order Forms are due on Monday, October 15th. Please make checks payable to the Woodstock Public Schools. Starting on our next half day, Wednesday, October 24, 2018, Woodstock Middle School will have breakfast during the day! We do not serve lunch on half days but students will have the opportunity to have brunch starting at 9:00 A.M. on half days! Struggling to complete homework on time? Need some help with that tough assignment? Homework Club begins September 13th and will be every Tuesday and Thursday after school! What a great start to the year! Open house will be Tuesday, September 11th. Please join us at 6pm in the cafeteria for opening remarks. Open house will run from 6 to 7:30. The DC Fundraising Calendar is Live! Please go to the Document File on this webpage and click on the Washington D.C. link! Mum order forms are on the Washington DC Document page! 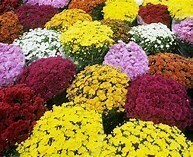 Bound for Washington D. C. Annual Autumn Mum Sale is happening now! The order forms are found on this website under Documents: Washington D.C. These are due by Thursday, August 30, 2018! 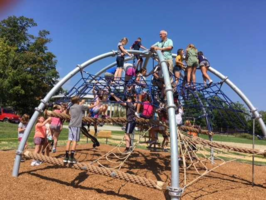 Please join us while we celebrate the new Middle School Playground! Thank you PTO! 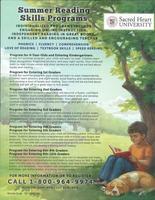 Please call Sacred Heart University for information on location of summer reading programs.